When looking at signage, Shop signs and retail signs are the most effective form of advertising available to a business, often overlooked and poorly maintained, your shop sign or retail sign is the important first impression that attracts the most important customers of all, the ones walking past your door. As a business you can easily spend a great deal of money on advertising in places such as yell for example, with this type of advert you are placed next to every bit of competition in your area and it can easily cost up to £3000 on a yearly basis. The average retail sign or shop sign depending on the quality of the materials used can last 10 years or more, if you spent the same £3000 on your retail sign or shop sign, you would have a high quality sign, that would have massive impact and all at a yearly cost of ownership of only £300 per year. Of course this is the higher end of the spectrum of signage options available, and more costs effective options are available. When looking at retail signs and shop signs what are the options available? At A1deSIGNS we have the experience to provide you with the retail sign or shop sign options that fit your brand or style. 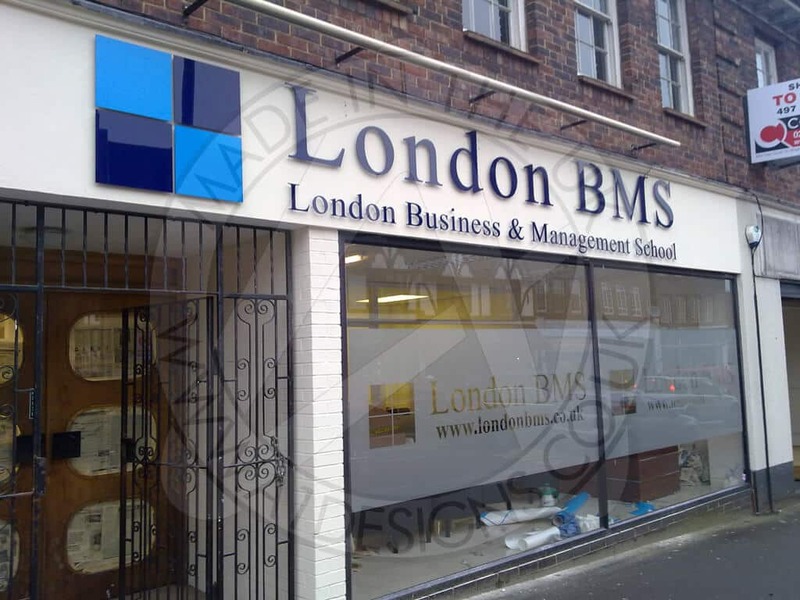 If you already have a logo or some sort of design, we can advise you as to the type of signage that best suits. 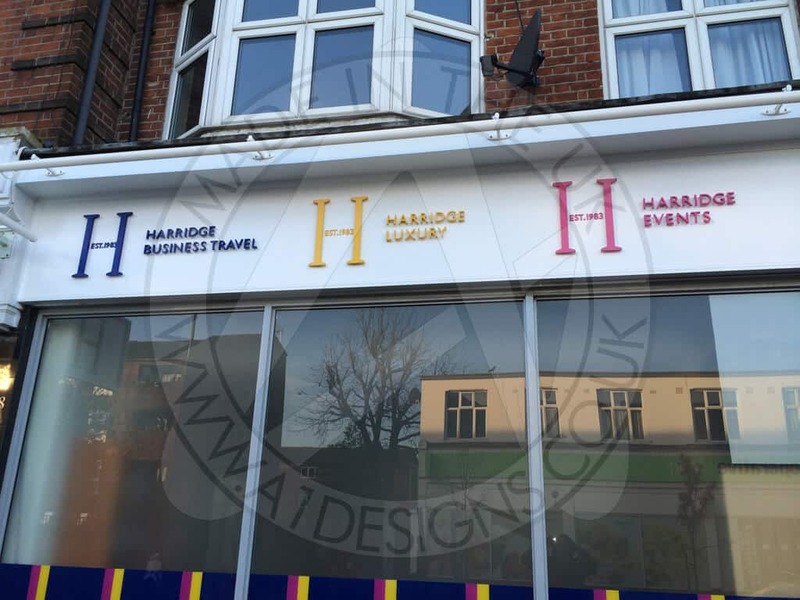 We can provide options for your fascia sign, double sided projection sign, windows graphics, internal signage and branding along with a variety of point of sale options. Giving you the complete solution for your retail sign or shop sign needs. Medium, low cost shop sign and retail sign options can include simple forms of signage such as acrylic letters fixed directly to the wall, flat panels with applied vinyl text or graphics. 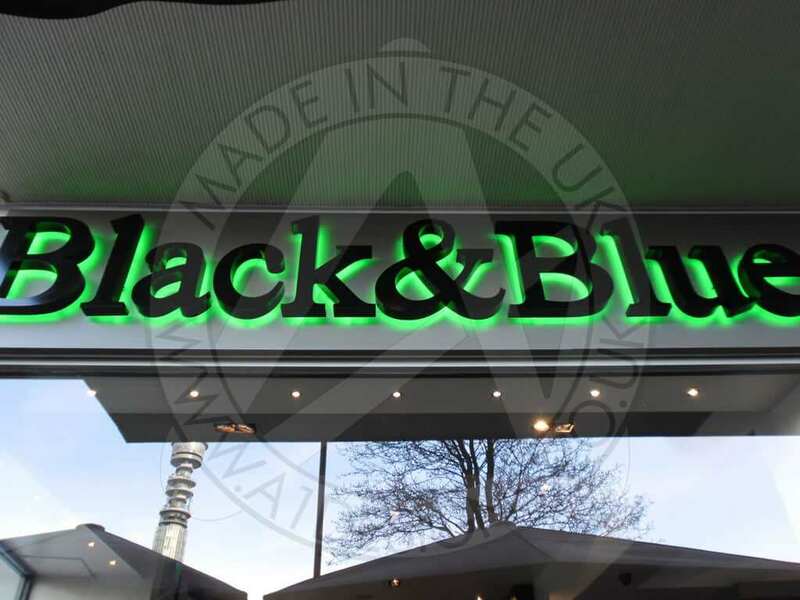 Mid-range shop sign and retail sign options can include metal letters mounted to a panel or wall, built up metal or acrylic letters without internal illumination and the use of an overhead trough light. High-end shop signs and retail sign options can include built up letters in metals such as brass with internal illumination via neon or LED’s, it all depends on the type of sign making supplies you use.. Another option includes push through acrylic letters that can give a unique look.